An online journal about the ins and outs of a busy mother who manages to balance family and career relatively well?! My baby turns 3 ! Time certainly flies when you're a mother of a toddler & travelling every month! Obsessed with Spidey, we decided to throw baby G a "Super Hero" party for his 3rd birthday! Two years ago when we celebrated his 1st, it was pouring...and this year, the same!! Maybe the chinese saying that the sky brings down water for those blessed ones!? Despite the heavy precipitation outdoors, a dozen and half toddlers were dancing, crawling, acting and enjoying the 2-hour fiesta with the one and only - Spidey Gavin!! Happy birthday my sweet honeyboy...mommy loves you sooo much and you're so good -- you only had a "little bit" of cake! Next morning when we're wide & wake with full gear running, the blue skies shone brightly as we opened the shoji curtains in our Hilton Tokyo Bay "parkview" room. YES!! After a quick breakie down in the Starbucks, off we went on the Resort Line to Disney. Baby-G's body was in awe of the crisp air, and light breeze...he was actually breathing clearly! As soon as we stepped inside, we were greeted by the famous ducks - Donald & Daisy and their canine friends Pluto & Goofy. We scanned around & saw the line up to the famous rodent - Mickey. Snap Snap Snap...a few pics with the characters whom G has never seen before, and we rushed in. We were amazed at how many rides baby G managed to get on! We started with a Pirates of the Caribbean ride...but then again, he wouldn't know the difference between a pirate and a normal man, I guess. The only time his heart somewhat pounded extra hard was in Alice's teacups -- thanks to daddy turning the wheel to make the cup go faster! In the end, our brave boy shed no tears & actually managed to smile a bit leaving! Yesterday's news about the FEDEX plane that bounced up & down Narita's runway and then bursted in a ball of flames sent shivers down both mine & my husband's spines. Why? Almost every month, I go down that same runway and in the past few months, the turbulence as we near Narita has been pretty bad. That wind shear could have affected any aircraft... now I will make sure I do follow instructions and buckle up when I'm supposed to. I feel badly for the widows of the two pilots who braved the terror. Life was just too short for them...may they rest in peace and may their families eventually find peace without their loved ones. Why do bad things happen to good & decent people while the crazy Austrian incestual, abusive father stays alive & have the opportunity to live in a cell? At least he's still living. So unfair...but his daughter and children need to live with this horror for the rest of their lives. 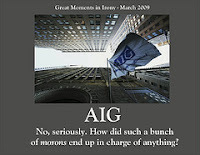 On another scale of evil are the greedy AIG executives. Now that they're willling to give back some of the money, I think they're doing it out of fear. Fear that they will need to repay in "other means"... these greedy bastards don't realize how many lives they've affected directly and indirectly. The list could go on forever about the implications of greed. That could be my next blog topic. Spring is dawning upon Hong Kong and you could surely feel it in the air. It's about 90% humidity level, drizzling, and all you smell is mustiness. I dread this time of the year...my clothes don't dry properly so we spend a fortune buying disposable dehumidifier packets for the closets! Otherwise, mould will start to form & the next thing you know, we have to throw out clothes/bags that are speckled with green fungi! Still contemplating whether we should cut my son's hair -- it is getting a little long, however, he looks so cute. I don't want him to have the short buzz cut (though practical in this weather) because then he'll look like the rest of the boys in his class...I guess all mothers want their children to be special? Speaking of children in HK - I never thought I would succumb to the craziness of toddler interviews, however, my 2-year old has gone through 2 rounds of interviews already and he tasted his first mouthful of "rejection". Well, not total rejection -- but he's on waiting list for the NURSERY (yes, i repeat...NURSERY) of his choice. We like that one because it's only a 15 minute walk from our home and just extremely convenient! Plus, the reputation is quite good. Now we'll have to cross our fingers that they will end up with some space by May or June. Nonetheless, i've applied for another two -- unlike other mothers who apply to about 10! Guess I'm still not that crazy. The reason for this craziness is that it is ultimately very critical they get into a good kindergarten because that could dictate the type of primary and then high school they get into! Sigh...I wish I could just throw him into Canadian International, however, my husband is against it and wishes for him to experience the local education system. Moreover, it is very valued in our family that we keep our mother tongues. Behavioral-based interviewing...for a 2-year old? It never fails to shock me that the education system in HK is so f**ked up. My little one is going to nursery in September this year -- and to me, nursery is not all that important. However, it is quite the contrary here in HK. Nursery is an important stepping stone, not only for the development of the child, but MORE IMPORTANTLY a stone to get into a good kindergarten and thus, a good primary school. The pressure starts now...being a working mom and quite oblivious to the requirements, I managed to miss most of the nursery application deadlines. Now I'm left with two choices ! I could stick with the playgroup kindergarten however, I'm not willing to fork out close to HKD6500 for NURSERY! For Chrissake...all they do is play, sing songs and learn the simplest of words. 6500 could feed alot of people...and buy quite the number of necessities. Anyways, after submitting the application, I was informed that I would be notified when the interview is. Interview??? What on earth could they ask a 2 year-old who barely speaks, and in front of strangers?? After asking some more experienced parents who went through this nonsense...all said that it is rather subjective and it is by luck. Luck -- because it depends on how your toddler feels that day. G-r-e-a-t. So, my son's future education will be based on how he feels that day of the interview. I guess there is no need to role-play an interview questions... so much for pre-training! What a great week I had...spending it with my 16-mth old and 40 year old! After 3-4 consecutive weeks of travelling and/or being in training, I savored in the 4 days I took off this week. June 9th was Dragon Boat festival anyways, so we had a long weekend. Tuesday - spent it running errands--renewing my passport, having lunch with my galfriends, strolling around Central (which I seldom do nowadays due to such a hectic worklife), people watching as I sipped my chinese style milk tea in HK's most expensive "cha chan teng" (tea house). Wed - sans passport but in dire need to getaway for a few days to bond with the men in my life without a helper & dogs, we opted to take a 1-hr ferry ride over to Macau - Asia's Vegas! We ended up staying at Venetian, which is bigger than the one in Vegas! In between walking around the vast complex of Canal Shoppes, we managed to just 'hang out' in the suite (all suites here!) and just play with Gavin. He just loved jumping / rolling around in the king-size bed with all the pillows...felt just at home! We did try to put him in the hotel crib..but to no avail, the duvet & feather-like pillows were much more attractive to this kid. We met up with my cousin who just moved there for work...had dinner with her on both evenings. Caught up with an ex-student of mine who now works at Westin Macau as Training Manager..so proud of him that he is following in my footsteps of getting into training. He's such a sweet lad and I hope he does well in his career with Starwood! My poor husband was exhausted because Gavin clung to him so much & with my bad back, it was mostly he who was holding him in his carrier whenever he didn't want to walk or sit in his new stroller. I guess i don't blame the kid -- I'd want to be carried too & snuggle up to my mommy or daddy! Even though it was a gloomy, rainy day in Hong Kong, the sunshine is still shining in my heart because we had him all to ourselves for a full 48 hours! May 22, 1992 - a beautiful little sable sheltie was born in the east end of Toronto to Patricia Freeman's two showdogs. Two months later, a young woman drives up the long winding driveway to the farmhouse to meet Pat Freeman, who introduces her to the four sheltie pups. He caught her eye right away -- wearing his little white bootie and being ever so playful. He may not have been the best looking, but it was something about him that told her, he's the one. Two weeks later, the little sable sheltie entered our lives. I can't remember his dad's name from the top of my head, but I decided to name him "Tickle My Fancy" and that is exactly how I submitted it back to the Canadian Kennel Club pedigree list. Tickle My Fancy became Tickles in my family. Through his frolicking, his tenderness, his intelligence and warmth, he enriched our lives for 15.5 years. On May 22, 2008, he would have been 16 years old. Although I did not spend too much time with him due to me moving to Asia, Tickles would remember me every time I go home. His barks of delight, his fan-like tail whipping about, and his tender kisses are still so vivid to me. People tell me I'm one of the most "open" and "blunt" people they have met. I used to agree but as I age, I now become slightly more tactful. I'm a loving daughter, sister, wife and new mother, who cherishes family and friends. Growing up in Toronto, I used to be blind to the world, but after moving to Asia for nearly 12 years, I've matured and learned so much from the environment and intelligent people that surround me. I work for a multinational healthcare company--doing something I really enjoy. I believe in living life to the fullest and not having any regrets. If you are a working mom, how many hours to you spend with your child/ren every day?